This is a completely customized comical wedding cake topper ordered by one of our customers. The couple was getting married in Italy in September. 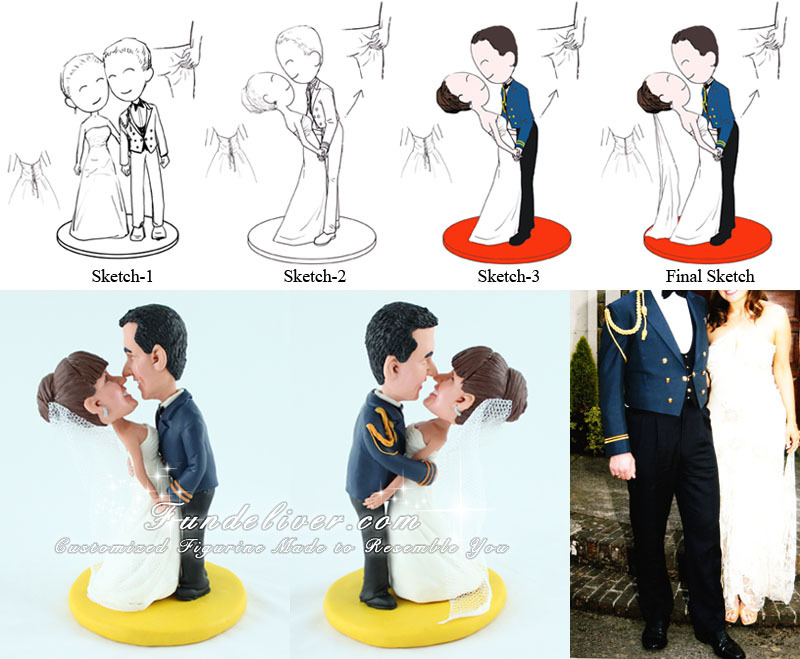 Bride was hoping for a figurine of them smiling at each other, with groom leaning her over - and at the back, she has her hand on his rear end, to make the guests laugh! My apologies it's taken me so long to send this e-mail but the preparations have taken on a life of their own here so I've just snatched a minute to chat!! I just wanted to say a huge thank you for the brilliant work you did on our cake topper - I laughed so much when I saw it and I'm really looking forward to seeing the guests reactions to it on the day!! You have been wonderful to work with and I will be recommending you to all of my friends who are getting married in the future. Keep up the fine work! !